My second spiritual goal is to remain active in the KC pagan community. According to my post at the beginning of this year, I wanted to attend six of the eight public Liithi Lushede Coven rituals and four Coffee Covens. As of today, I've attended Imbolc, Ostara and Beltane for Liithi Lushede rituals. That's three out of six. I've also attended every Coffee Coven since January according to my Meetup.com history. That absolutely covers that. So I technically only need to attend three more Liithi Lushede rituals to call it even. I would push myself to attend all of the rituals for the rest of the year. However, I don't think that's realistic given my line of work, which may conflict with a ritual or two, or the weather, which tends to be pretty bad during the winter. 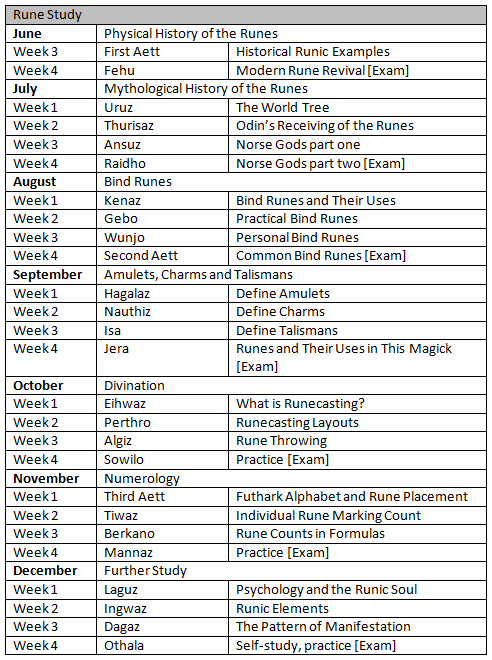 As complicated as this chart sounds, notice that I'll be studying one rune per week and one small section of runic practice per week. 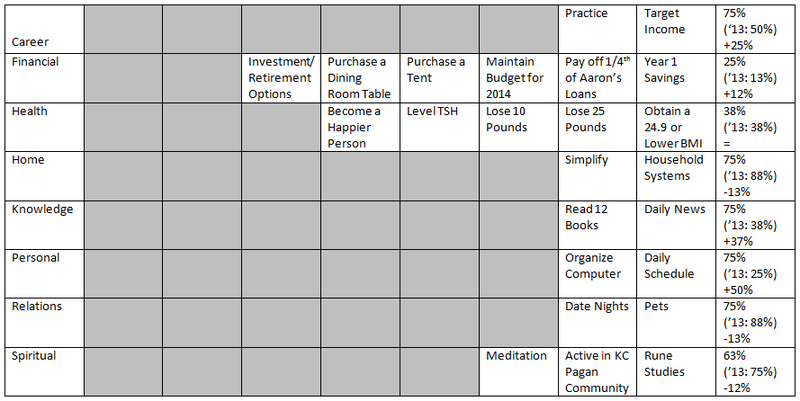 Ideally, I'll only need a few hours per week to do this. As I study, I'll be building an exam that I will take at the end of the month. I will also make copies of that exam to compile into a final exam at the end of the year. 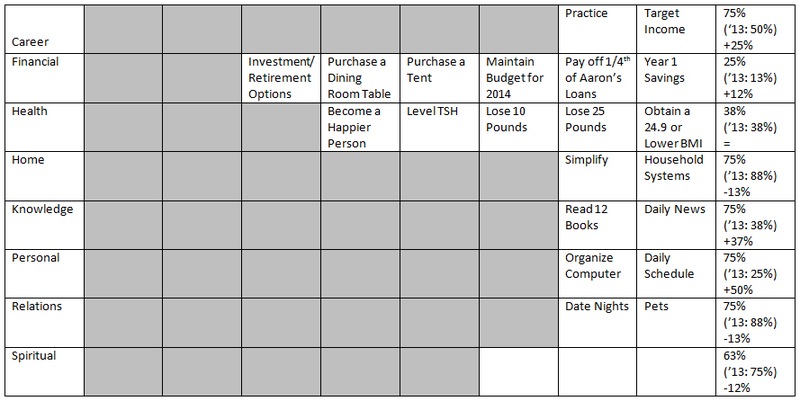 And the last section of my monthly goal template! Meditate [X] a week. – 0/X Times – 0% complete. Attend one sabbat ritual by Lushede Grove (if applicable). – Done | Not Done – 0% complete. Rune Studies. – 0/X Weeks – 0% complete. And there you have it! The compilation of my 2014 goals. What are your 2014 spiritual goals?